Both of these items should be available in the cake-mix aisle at your grocery store. Beat butter and sugar until light and fluffy. Mix in almond filling, almond extract and egg yolks, and beat until blended. Using a wooden spoon, stir in flour, baking powder and salt. (Dough will be soft). Cover and refrigerate at least 3 hours or overnight. Preheat oven to 350 degrees. Shape dough into one-inch balls and place on an ungreased cookie sheet. 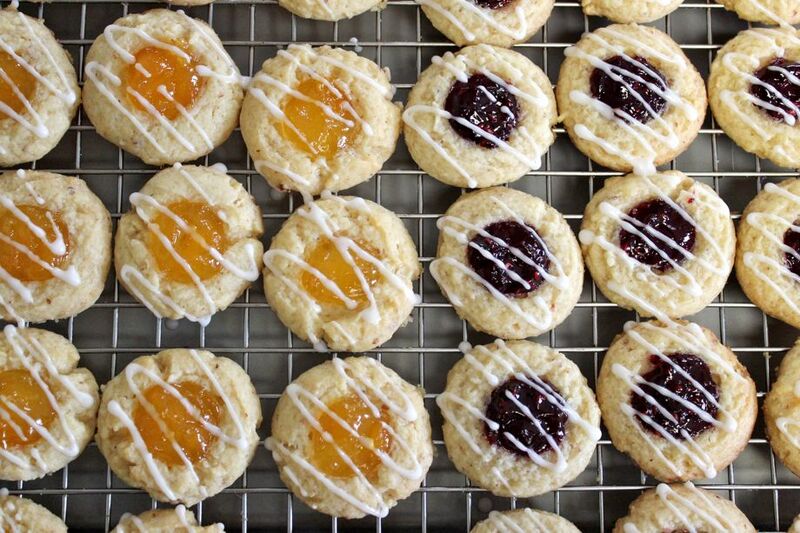 Make an indentation in the center of each cookie. (I used a small cork to make the indentation. You could also use your thumb!) 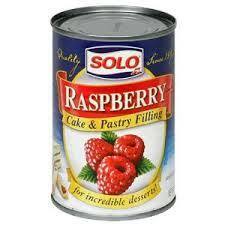 Spoon 1/2 teaspoon raspberry or apricot filling into each indented cookie. Bake 11 to 13 minutes or until edges are golden brown. Cool on baking pan for 1 minute, before removing to cooling rack. After cookies are completely cooled, drizzle with Confectioners’ Sugar Glaze. Combine all ingredients, and mix by hand until smooth. The texture of the cookie is slightly crispy on the outside, and soft and a bit chewy on the inside. Really, really yummy! 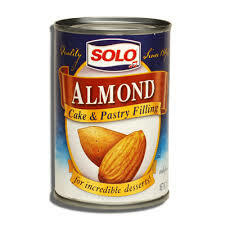 Still can’t find Solo almond filling out here. I might have to book a flight to your house. I’ll bet we can stuff a case (or two) into a carry on. See you soon!! I’m so glad, Peggy!! This recipe is a long-time favorite of mine, and it seems that our dear Beth can’t get enough of them ;-) Merry Christmas to you and your beautiful family!